BadLand Publishing, Byte4Games and Starcruiser Studio have announced that Mars Chaos Menace will release on Nintendo Switch next month. When radioactive contamination and resource depletion nearly wiped out Earth, terraforming helped the human race successfully colonise nearby planets. But, their efforts have attracted warp monsters which solely exist to devastate and sterilise planets by destroying their whole way of life. And now, you must fight for your survival once again. 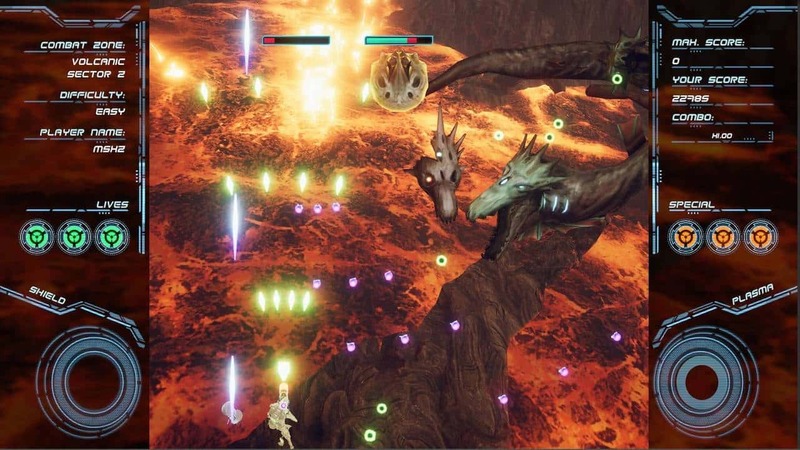 Created with the Unity engine, the developers have looked to propose “a new approach to arcade shooters.” That has seen them use 3D graphics and visual effects in this bullet hell shoot ’em-up, hoping that it will appeal more to modern audiences. Mars Chaos Menace will release on the Nintendo eShop for Nintendo Switch worldwide in November.